Whether it’s leafy laneways; squirrels on the village green; the local pub; or meandering Bridleways through country estates, British villages have a lot going for them. We love these quintessential villages, which have long been idealised in word, song and image – and are always a throwback to a less rushed and gentle age. Obviously, the charms of village life are certainly not unique to Britain. We’ve had the privilege of visiting villages and small towns in counties such as Italy, Austria, Denmark, France, Germany, Slovenia and Switzerland – and found that each has its distinct personality and heartbeat. But, as the land of our ancestors, Britain naturally holds a special place in our hearts – and we’ve developed a particular fondness for its village life. Based on our experience, here are some tips for having your very own village experience in England, Scotland or Wales. This is a different type of travel. The key attraction is the way of life around you – and you can’t truly absorb that if you arrive by coach or car, take a selfie or two, and then rush on to the next stop. Stay for several days and unwind. Waking to the bubbling sound of brooks and streams; enjoying lazy, hazy days; long country walks at sunset; marvelling at the cottages often with thatched roof and wisteria above the door; and discussing life with local residents while raising a glass or two. This is a priceless lifestyle that is, unfortunately, all too rare in today’s hectic world. A village experience provides the opportunity of rediscovering these small joys. For the sake of your soul, lap it up. This is a traditional breakfast that typically includes bacon, sausages, eggs, tomatoes and a beverage such as coffee or tea. Depending on your location, it will be called either a ‘fry up’; ‘full English’; ‘full Scottish’ or ‘full Welsh’. The ‘full English’ is so popular that many pubs offer the meal at any time of day as an ‘all-day breakfast’. Village life lends itself to the traditional picnic, rather than barbeques and fast food. Hotels and cafes will usually help you gather the ingredients for a picnic of sandwiches and wine beneath a spreading tree or even on the village green. Village graveyards are a fascinating source of social history. Most adjoin the parish church. And, in many cases, you need to enter through a wooden archway structure known as a lych or lich gate – the name of which apparently originates from the old English word for corpse. Village graveyards are often the site of old stone crosses – or their remains – sometimes used as preaching areas by roving churchmen or local officials down the years. How good is that …..1289! Another landmark common to most village graveyards is the evergreen yew tree – a symbol of everlasting life. In many villages, the parish church is one of the oldest, if not the oldest, surviving building. The scene of a church steeple rising above the surrounding rustic cottages is one of the great iconic images of village England. If you are particularly keen on local history, most of these churches have fascinating Birth and Funeral Records – and some bear the scars of history, including sword slashes in the stone from wars; historic monuments; and even graves of prominent citizens. And, of course, the churches are usually a photographer’s dream, with a wide array of designs reflecting the passing parade of life and landscape through the centuries. We’ve had the pleasure of staying at historical pubs, haunted pubs, canal-side pubs; hotels with literary and sporting links; pubs that have been visited by famous people; and pubs in fantastically scenic, wild and remote locations. Traditionally, pubs are marked on the outside by a painted sign bearing its name. In days of old, illustrated signs were essential to identify pubs in an age when most people could not read. No matter how you look at it, these inns are an historic kind of community centre, where people gather around the bar and tables – these days often accommpanied by their pet dogs. We’ve seen it well described as a “heady mix of good ale, lager, wine, food and coffee, served with a gentle ebb and flow of conversation”. Regardless of how you describe it, the pub seems to reflects accurately the spirit of a village. It is a spirit that never fails to make you feel at home. We consider it an honor to join these people – and truly experience the local culture. Beyond the charming cottages, past the church and down the road from the pub, English villages are often surrounded by nature’s finest – perhaps rolling hills, lush vales, woods and valleys, dotted with manicured gardens alive with songbirds. It’s not much of a stretch of the imagination to say that parts of the English countryside are like one big, well-kept garden – especially in Summer. Narrow laneways, sometimes known as Bridleways, often allow you to move through the rural land – and there may also be walking trails and even canals. Of course, there are also manors, golf courses and beautiful country homes established over many, many years or owned by those lucky enough to escape the cities. A village experience is all about discovering, albeit for a short time, the community atmosphere that, too often, has gone missing in today’s fast-paced lifestyle – yet sustains these warm and welcoming villages. Because, as the pioneering Australian poet, Banjo Patterson, once said: “townsfolk have no time to grow – they have no time to waste”. Watch for our upcoming article on ‘How to Arrange an English Village Experience’. The English country road curves at Shaw’s corner, a location that warrants no more than a small dot on the map of rural Hertfordshire. And, the house that stands there – among well-maintained gardens – gives no indication that it’s considered a British treasure. This house was one of the reasons why we found our way off the motorways to the English village of Ayot St Lawrence, a tiny community in picturesque surroundings well away from the tourist trail. The story of Shaw’s Corner had caught our attention, as part of our series of reviews on traditional villages. Built as a Church of England rectory in 1902, this house was designed in the Arts and Crafts style, with stained glass windows and hearts cut into the banisters. But, today, it resembles a time capsule – with some particularly intriguing aspects. Take, for example, the replica Nobel Prize in Literature and Academy Award that stand side-by-side on the mantlepiece, alongside photographs of Vladimir Lenin and Joseph Stalin. Or the small garden shed that was once able to rotate in time with the English sunlight. These are the relics of remarkable people: artefacts of fascinating lives. The man at Shaw’s Corner was influential Irish playwright, novelist and political activist, George Bernard Shaw, regularly rated as second only to Sharkespeare among British dramatists. He wrote about 60 plays, over 250,000 letters, many novels and untold numbers of articles and pamphlets – many of them penned during more than 40 years at Shaw’s Corner. 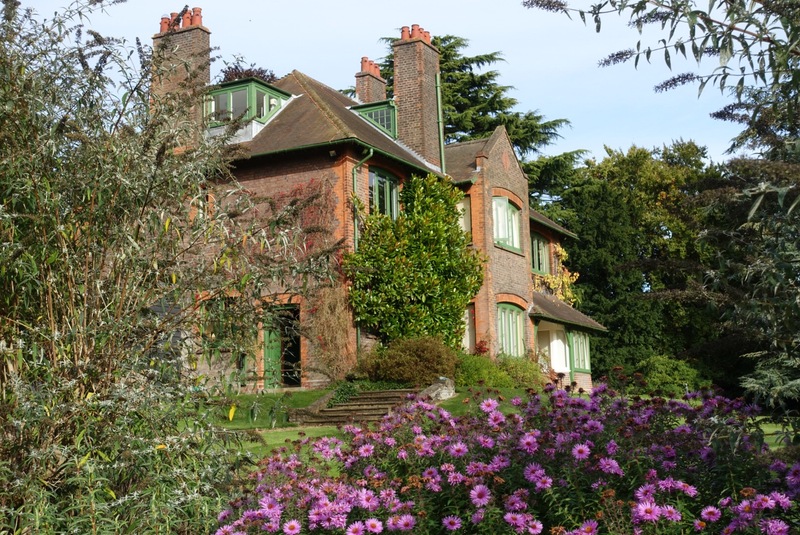 Along with his Anglo-Irish wife, Charlotte, he started renting the Ayot St Lawrence house in 1906. They bought Shaw’s Corner in 1920 and lived there until it was handed to the National Trust after Charlotte’s death in 1944. Shaw died in the dining room of the house on November 2 in 1950. During his prolific career, Shaw produced major works such as ‘Man and Superman’, ‘Pygmalion’ (he later wrote the screenplay when it was made into the movie, My Fair Lady), and ‘Saint Joan’. Ranging from history to contemporary satire, Shaw became the leading dramatist of his generation – and in 1925 was awarded the Nobel Prize in Literature. As of now, Shaw and legendary musician, Bob Dylan, are the only people to have won both a Nobel Prize and an Academy Award. But, entering the stately brick home is definitely unnerving. Shaw’s well-polished boots sit by the hearth and his manual typewriter stands at the ready, as if the owner is expected back at any minute. And Shaw’s fingerprints are everywhere, from photographs by close friend, TE Lawrence of Arabia, to the William Morris fabrics and a striking bust of Shaw sculpted by another colleague, Auguste Rodin. During our visit, the National Trust was staging an exhibition to mark the centenary of Rodin’s death. For the first time Rodin’s bust of Shaw was displayed shown alongside the rarely seen plaster original, created in Rodin’s studio in 1906. The display featured striking images documenting Shaw’s creative relationship with Rodin. Elsewhere in Shaw’s Corner, the library contains a rich and varied collection that ranges from the Bible to H.G.Wells, socialism and Eastern religions. There are some 4,000 books. Shaw’s presence extends to the colourful and ivy-entangled gardens which, fittingly, are often the scene of open-air productions. His writing hut stands in a bottom end of Shaw’s Corner, equipped with bed, typewriter and rotating mechanism for turning to catch the sunlight. Although humble in its interior facilities, Shaw’s Corner is one of the many imposing houses that line the roads and laneways of beautiful and historic Ayot St Lawrence. See our separate report on stunning Ayot St Lawrence. According to local knowledge, Shaw was hardly impressed by the isolated rural atmosphere on arrival, but later embraced the area. For staying there through all the seasons”. Shaw’s Corner can be found at Ayot St Lawrence, near Welwyn, Hertfordshire, UK. Unfortunately, there is no public transport to Ayot St Lawrence. The nearest bus stops are in Wheathampstead and Blackmore End, both of which are at least two miles away. By road, the closest bigger centres are Welwyn Garden City, which is about 15 minutes away and St Albans which is about 20-25 minutes away. The nearest railway stations at Welwyn North four-and-a-half miles; Welwyn Garden City six miles; and Harpenden, which is about five miles. For detailed directions, see the National Trust website. We used a local courier called Point to Point Car Services, from nearby Codicote. And we stayed for a few delightful days at the historic Brocket Arms inn at Ayot St Lawrence. See the review of The Brocket Arms on this site. Note; The writer flew to Europe courtesy of Scoot Airlines. What do leafy country lanes, the musical ‘My Fair Lady’ and England’s King Henry VIII have in common with a charming 14th Century pub, Lawrence of Arabia and a man who hated his local church? 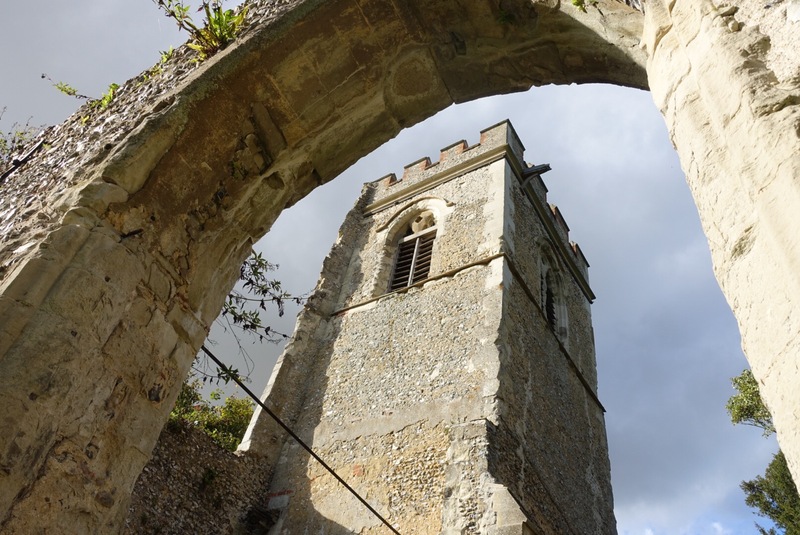 We discovered Ayot St Lawrence, as part of our review series on traditional village life. Do I hear a chorus of “where”? 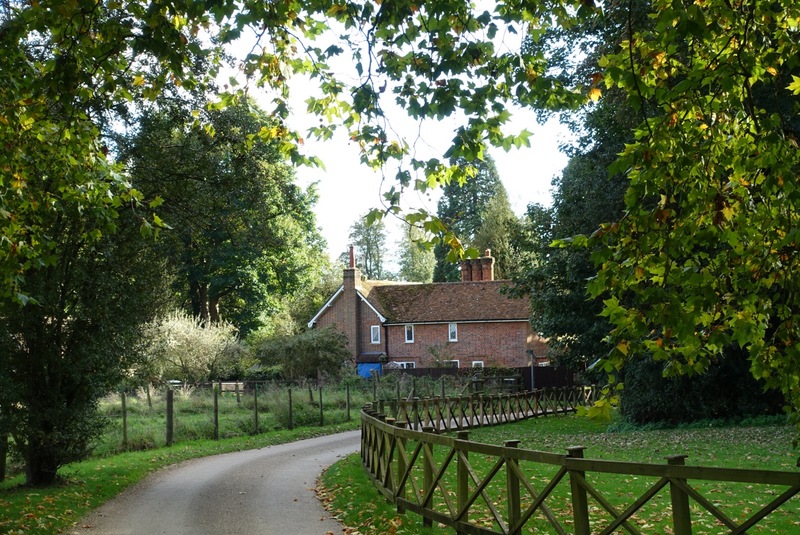 Nestled among quintessentially English estates, narrow roads bounded by tall hedges and a maze of walking footpaths, Ayot St Lawrence is about 25 miles from central London. However, it is a world away in reality – an area of jaw-dropping beauty and stately houses. All the over-worked but time-honoured phrases like ‘quaint, picture-postcard village’, ‘chocolate box scenery’ and ‘frozen in time’ certainly apply to this area. But, there’s a lot more to Ayot St Lawrence than just the vision of the sunshine seeping through the undergrowth along its roadsides – as beautiful as that is. Atmosphere plus at the Brocket Arms. Take, for example, the Brocket Arms – a wonderful country inn that dates to 1378 and was originally the monastic quarters for the Norman church. Legend has it that a priest was hanged there and that it has been haunted ever since. 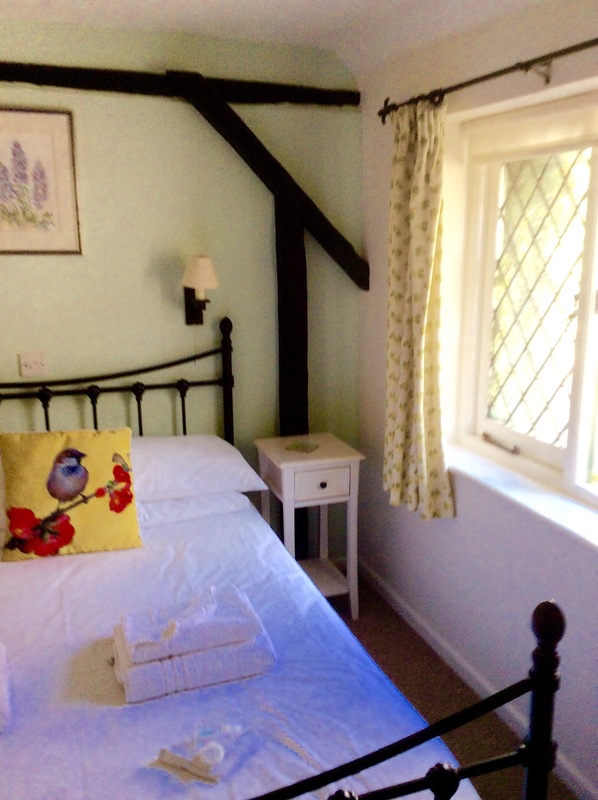 With low ceilings, oak beams and a 17th Century fireplace that features a priest’s hiding hole, the Brocket Arms provides high standard accommodation in a rustic inn that is literally the centre of the community. Friendly locals – often accompanied by numerous dogs – mingle easily with travellers like us; wonderful hotel staff; and day-trippers up from London to soak up the atmosphere. Watch for our upcoming review specifically about the Brocket Arms. As well as the pub, Ayot St Lawrence boasts ancient and well preserved homes, including an old Rectory that dates to 1291 and is now divided into three. 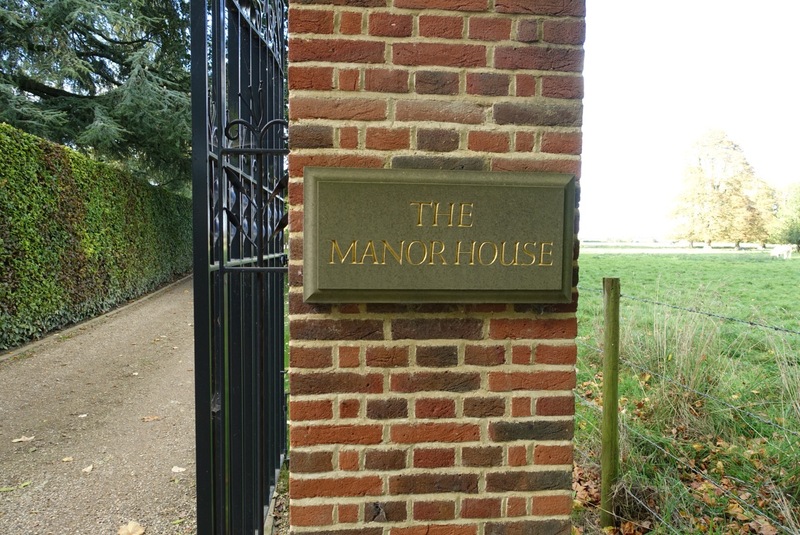 There’s also the Tudor ‘Manor House, that was owned, at one stage, by Sir Richard Parr, whose daughter, Catherine, was the sixth wife of Henry VIII. Another reason for our visit to Ayot St Lawrence was the George Bernard Shaw factor. The famous writer and dramatist, who won an Oscar for Pygmalion (or My Fair Lady) lived in the village for more than 40 years from 1906. ‘Shaw’s Corner’, the Edwardian villa he shared with his wife, Charlotte is now a National Trust property and is open for inspection from mid-March to November. The house features sweeping lawns and a small, rotating writing hut, where Shaw created many plays. It is preserved like a time capsule – with hats, walking sticks, toothbrush, photographs, books, typewriter, Oscar, Nobel Prize – giving the impression that George has just stepped out for a while. Shaw had many VIP visitors to the area and locals still like to tell a story about Lawrence of Arabia roaring around Ayot St Lawrence on his motorcycle. 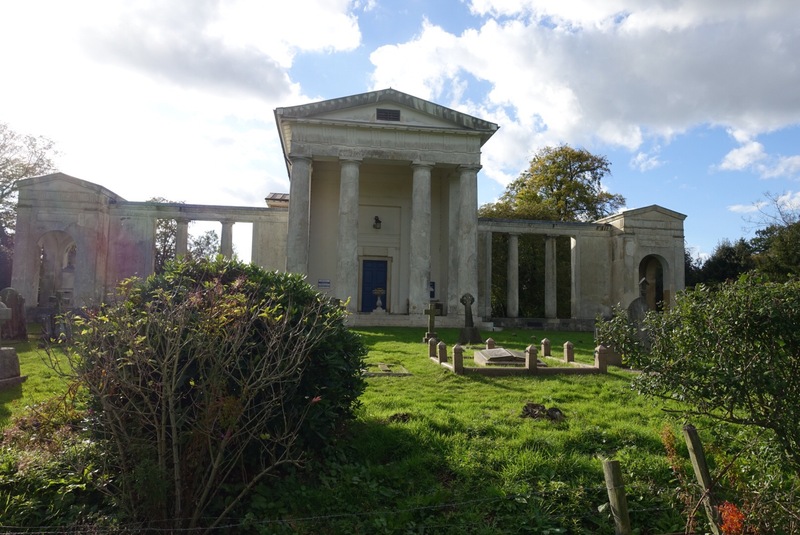 Ayot St Lawrence is also known as a photographer’s dream, largely because of the partially demolished Old Lawrence Church. Dating back to the 12th century, the church met an awkward fate, because Sir Lyonel Lyle, the Lord of the local manor took a dislike to the building in the late 1700’s. Claiming that the stone church blocked the view from his house, Lord Lyle decided to pull down the building and erect another resembling a Greek Theatre. Today, the old church is a much-sought backdrop – and the new one has two separate pavilions – one containing Sir Lyonel’s tomb and the other for his wife. According to local folklore, the Lord of the manor declared that the church made him live with his wife when he was alive – but it sure wasn’t going to make him stay with her after death! True or not, he certainly made his mark on the district – and the ruined church has a starkness and beauty that it may not have achieved if left intact. 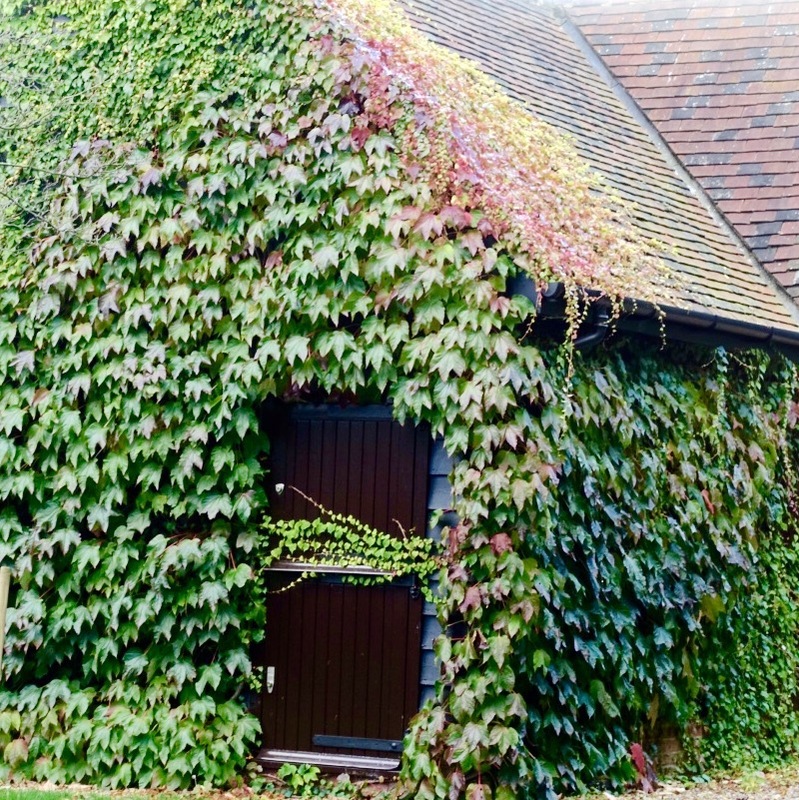 Ayot St Lawrence, with its striking buildings and fabulous Brocket Arms inn is yet another gem of a village – with an intriguing story or two. We loved our time mingling with the locals and, for a few days, becoming part of their community. Once again we were able to join in village life, not just observe. Ayot St Lawrence has village history in spades; beautiful scenery; wonderful, warm people and probably the most comfortable and friendly village pub we have encountered. It is ideal for a village experience – but the real secret is that Ayot St Lawrence is only about 40 minutes drive from Heathrow Airport. We used a local cab company called Point to Point Car Services, from nearby Codicote. The owner, Nick Payne, treated us well. Note; The writer flew to Europe courtesy of Scoot. Why not take Scoot to Athens and then journey from there into other parts of Europe and the UK. There’s nothing quite like the atmosphere of a genuine English village pub. Many of them are so steeped in tradition that people actually talk to each other around the bar, instead of tapping away at smartphones. However, a lot of these wonderful old pubs are finding the going tough, as essential services continue to shrink in the villages around them. As part of our series on English villages, we thought it was about time we celebrated these traditional pubs by showing some of the best that we’ve been fortunate to visit. This medieval inn dates to 1361 and is a highlight of a picturesque village brimming with charm. See our review of Lacock. Situated in one of our favourite villages in the gorgeous Cotswolds, parts of this building are said to date to 947 AD. This is another contender for the label of England’s oldest pub. Another Welsh gem, this pub is known for the high quality of its meals – and we can only agree. There has been a structure on the site since the 13th Century. The building as it now stands dates from the 1530’s, but was enlarged in 1785. Situated on the famous Great North Road, this inn is part of one of England’s finest stone towns. The structure is believed to date to 947 AD. See our review of Stamford. While not exactly in a village, this 17th Century coaching inn, in the charming city of Cambridge, is notable for its RAF ceiling. See the details. Set in a tranquil position away from busy roads and near a trickling stream, this wonderful old pub, in the picturesque village of Bardsley, is said to date to 953 AD. Wellington Hotel, Boscastle, North Cornwall. One of Cornwall’s oldest former coaching inns, this striking hotel dates to the 16th Century and is situated in the lovely coastal village of Boscastle. See our review of the hotel. With its thatched roof and white stone walls, this pub looks right at home in the hamlet of Holywell in rural Cambridgeshire. Overlooking the Great Ouse River, a building is thought to have been on this site since 560 AD. With its attractive frontage, great food and fine ales, the Green Man catches the eye in the picture postcard village of Denham. It’s believed that the inn dates to about 1895. We visited Horncastle largely for its array of antique shops, but this old pub, which has been operating since 1720, also caught the eye. 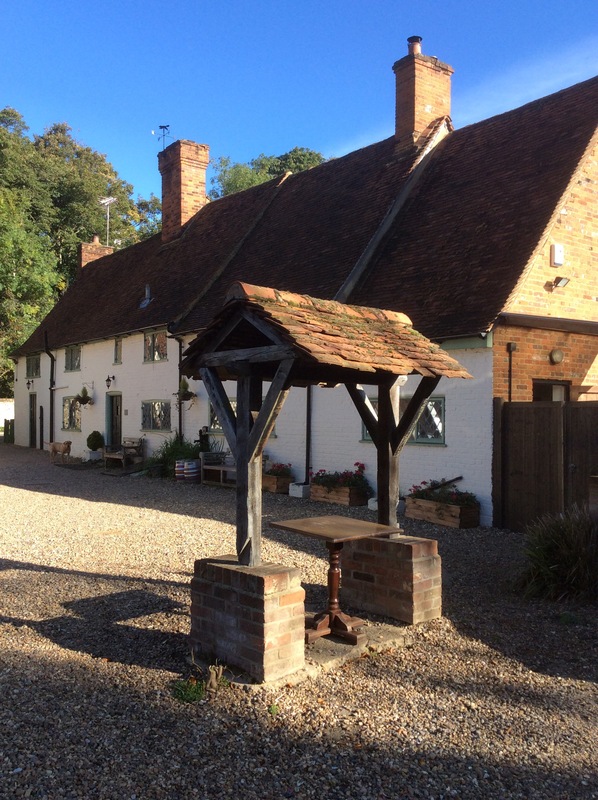 Another gem in a stunning and historic little village, the Brocket Arms oozes charm. It was built in the 14th Century. Watch for a detailed review of this hotel later in the year. Ye Olde Trip to Jerusalem, Nottingham. Not far from Sherwood Forest, this pub is another with claims to the title of England’s oldest, possibly dating to 1189 AD. We’d never heard of preaching crosses until we came face to face with one in England. Since then, we’ve kept and eye open for these unusual medieval landmarks – many of which are fast weathering away. Driving on the A30 motorway in Southern Wiltshire, we crossed the River Nadder and entered the picturesque village of Barford St Martin. Sitting between the provincial centres of Salisbury and Shaftsbury, this dot on the map was known to us only for the 16th Century Barford Inn, which once brewed its own high quality beer. After checking out the inn, we set off for Shaftesbury – and then encountered the village’s preaching cross. It was obviously taller and much different to the market crosses which can be found in many English villages and rural towns. After photographing the structure out of curiosity, we wandered into the adjoining Church of St Martin and were told that the stone cross dated to early medieval times. It was one of many so-called ‘high crosses’ built across England, Scotland and Ireland for travelling priests to preach where there wasn’t a church. At Barford St Martin, for example, we were told that a church wasn’t erected until the 13th Century. Historians say that Cornwall was probably the first county in England to have stone crosses, as long ago as the 4th century. On the other hand, smaller market crosses – like this one at Sturminster Newton in Dorset – designed a market place, although they were also sometimes used as a rallying point for important news. In another twist to the story of the stone crosses, we came across a plaque in the East Sussex town of Rye that marked the site of another cross – this time for the election of the local mayor between 1289 and 1602. Perhaps an example of mixing politics and religion?